Due to my current freelance project work, graduate studies coursework & exams, upcoming international travels and search for a summer marketing opportunity my dedication to this blog has been significantly impacted. I will therefore resume regular weekly postings as soon as possible. Thanks for your regular interest and support of thREDs by Sandra blog! So we've seen the best that the top designers in the world have put together for the Fall 2011 fashion lines with the latest round of fashion shows in Milan, New York, Paris and London. I would some up the season with two pervasive thoughts: Multi-Colored Prints; Long & Lean. Multi-colored prints in stripes, polka dots, plaids and more. Separates that mix and match. Wrap blouses. Retro-inspired suits; pant suits; wide leg trousers. Below the knee, mid-calf and full length skirts. High slits. It's going to be a great season! If you missed the latest designer shows here. I know there many some of you may be wondering what the connection could ever be between the clothes in your closet and what models in designer fashion shows wear. I think there is a great clip in the movie "Devil Wears Prada" which briefly explains this relationship. This... 'stuff'? Oh... ok. I see, you think this has nothing to do with you. You go to your closet and you select out, oh I don't know, that lumpy blue sweater, for instance, because you're trying to tell the world that you take yourself too seriously to care about what you put on your back. But what you don't know is that that sweater is not just blue, it's not turquoise, it's not lapis, it's actually cerulean. You're also blithely unaware of the fact that in 2002, Oscar De La Renta did a collection of cerulean gowns. And then I think it was Yves St Laurent, wasn't it, who showed cerulean military jackets? I think we need a jacket here. And then cerulean quickly showed up in the collections of 8 different designers. Then it filtered down through the department stores and then trickled on down into some tragic casual corner where you, no doubt, fished it out of some clearance bin. However, that blue represents millions of dollars and countless jobs and so it's sort of comical how you think that you've made a choice that exempts you from the fashion industry when, in fact, you're wearing the sweater that was selected for you by the people in this room. From a pile of stuff. I think the above gets the point across rather harshly. But truth is we wear clothing. Many of us buy our clothes instead of make them. Hence we are forever connected to the fashion industry and thus subject to the dictations of the fashion royalty. I liked the wearable technology that the Black Eyed Peas incorporated into their recent Super Bowl half-time performance. Wearable technology is an industry that's existed since the 1980's however due to technological advancements today-it is an industry that is on the cusp of emerging into products that can be distributed globally to the average consumer. Beyond personal usage; sports, medical and armed forces are particularly interested in the possibilities of wearable technology within their industries. Entertainment & communications systems. The integration of products like Bluetooth, wireless, Ipod and more. For example, the controls for such devices are located on the sleeve of your coat or jacket. Garment heating systems. 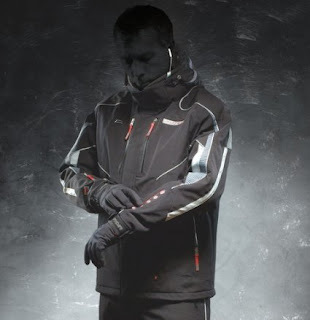 These products are especially helpful in cold weather as gloves, boots, scarves and so forth monitor heat and adjust as needed to keep wearer's comfortable. Solar & other mobile power systems. For instance, clothes that have the capability to absorb solar power so you can re-charge your mobile devices while you're out during the day. Lighting solutions. Beyond the obvious use by celebrities in performances and appearances (Katy Perry, Black Eyed Peas, Kanye West, U2, Lady Gaga, Rhianna, etc.) your average bikers and runners benefit from this type of clothing as drivers can spot them easier in the dark. Textile interconnection. E-textiles or electronic textiles in which the fabric enables computing and digital components to be embedded in them. This is often referenced as smart clothing. One example, is the "Smarty Pants" that has motion sensors embedded in the cloth that tracks velocity, rotation and flexibility of the fabric and send sends the data to a wireless compute for analysis. This product is being considered for use in the medical field to evaluate patient's movements. Just imagine one day in the near future....an early morning jogger sets out: wearing a pair of smart pants to track the data of his movements; staying warm with a ClimaWare neck wrap, shoes and jacket; listening to his/her Ipod adjusting the volume and tracks through controls on the jacket sleeves; all while shining brightly with LED battery powered lights that are placed throughout their running attire. That future is just around the corner! You may have seen some of these terms on a label for a garment, or even home textile product, but do you know what it really means? I clearly remember a sales representative giving a demonstration about wrinkle free men's khaki pants. He would hold up two pairs of pants, both worn on separate business days, to demonstrate how the pant with a wrinkle-free finish had considerably less wrinkles than the untreated pant. He told a story of how one customer complained because the "wrinkle-free" pants had wrinkled; well, "wrinkle-free" can be a misleading term. Both permanent press and wrinkle free products have been chemically treated so the fabric will resist or decrease wrinkling so the surface maintains its shape longer. In other technical words, the chemicals act as catalysts that cross-link polymer chains in cotton weaving, giving the material some elasticity and resilience. However, because of the chemicals used in the treatment the fabric tends to be weakened. So though the pants or shirt may resist wrinkling they may also not last as long as a regular pair of pants or shirt. While at Gap, Inc. my boss went on a business trip to Asia where she go to visit some unique factories such as a cashmere factory in Mongolia and a down feather factory in China. I remember her telling us about seeing the process at the down factory; like how the blowers separated the regular top feathers from the down feathers. Actually about 50% of down comes from China and are typically white goose down. Any how, the down of birds is a layer of fine feathers under the tougher exterior feather. It is the light, fluffy undercoating that waterfowl like geese and ducks have to keep them warm. Therefore it has excellent thermal properties. Hence why down is valued in jackets and bedding. Down gives about three times the warmth per ounce compared to synthetics. Due to its ability to loft, or to fill the space it occupies is greater, longer lasting and more uniform. Down insulation is rated by fill power, measured as the number of cubic inches displaced by a given ounce . Higher fill power downs will thus be better insulators than lower fills-this quality difference accounts for the price difference. Be sure to check that the label says 100% down feather, as some manufacturers will mix down and regular feathers together to save costs. Which will subsequently reduce the warmth and long-term quality of the product. You generally see this term on labels for cotton products such as cotton sheets or towels. This term brings memories back of my fabric testing and quality course at university when we would count threads in one square inch of fabric. (So the number of threads that are counted in that one inch of square fabric is what the thread count was). That included the number of threads on both the vertical (warp) and horizontal (weft). The higher the count the more fine a fabric is, the lower the more coarse. Good quality sheets are around 150-200. Some manufacturers will market their products with a very high thread count-be very suspicious of anything with a label of 500 thread count or more. What they probably have done is actually counted the individual threads in a plied yarn. A plied yarn is made by twisting together several fine threads. For instance, the fabric may actually be a 250 thread count but the label will claim 1,000 thread count because they count those individual smaller threads that were twisted together. So in such an instance, there is no difference between the fineness of the fabric of the sheets labeled "1000 thread count" and those of the sheets, perhaps next to it on the shelf in the store, labeled"250 thread count". However, because of the marketing you'll be charged more for the "higher" thread count. Egyptian cotton refers to an extra long staple cotton that is grown in Egypt which is more durable and softer than American pima cotton, which is why it is more expensive. Because a continuous fiber is used when creating the yarns it is actually stronger than most cottons. The yarn is smaller in diameter so it means more yarns can be used per square inch. So the result, is a fabric that is lightweight yet very durable. Egyptian cotton may feel stiff at first but with laundering they soften. Typically less lint is produced during growth of Egyptian cotton and therefore Egyptian cotton fabric products are less likely to pill after laundering like other fabrics. While at Gap, Inc. I went on a field trip, organized by Cotton, Inc., to visit a cotton farm in the San Joaquin Valley. This was actually my first time to see cotton fields in person. I remember the farmer pointing out which fields were cotton and which had organic cotton crops. Unfortunately, it had cost more for him to grow the organic cotton and the demand was much lower than expected, so he told us how he wouldn't be growing organic cotton the next season. Organic cotton is a better product in terms of the environment but why it costs more for cotton farmers to produce it, is because the growth and yield is reduced significantly due to the abstinence of chemical fertilizers and pesticides. 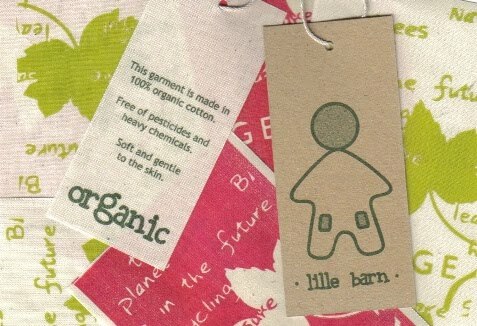 Also, there is other investments that must be made by the grower in order for the cotton to be certified organic. Such as: fields have to go through a three year "cleansing" process; barriers and buzzers must be set up on the fields to detect any contamination from run-off from nearby non-organic fields; and other stipulations must be met in order for the product to be labeled as organic cotton. But there are people who can and are willing to pay more for organic cotton that compensate for the extra cost that farmers incur who grow organic cotton. Generally these individuals are well aware of the multiple environmental benefits of organic cotton such as: groundwater quality is ensured with no fear of chemical run-offs; no toxic chemicals in the cotton; conservation of biodiversity; and so forth. Country of origin must be disclosed on textiles, wool and fur products in the USA. However, there is a difference between "Made in the USA" and "Assembled in the USA". For example, a garment may be nearly finished overseas and the last final and minor touches are completed in the USA so it can technically be marketed as "Made in the USA". However, those garments where the majority, if not all, of the assembly took place in the USA can be labeled "Assembled in the USA". Remember, even if assembly takes place in the USA the actual components, or parts, can be gathered from outside the USA. * Employer does not adhere to labor laws. This is most commonly seen in regards to employees being paid below minimum wage and young children employed whose age is below minimum age. * Employer does not provide benefits as stipulated either in employment contract or regulated by government. Such as health care, mandated breaks, overtime pay and so forth. * Poor and hazardous working conditions!!! * Employees are subject to ongoing abuse and harassment with little or no protection of their rights. Wool has been combed and carded before going into the spinning process to be made into yarn. They do these processed first to removes any short and brittle fibers. Then just the longer strands remain, which are then spun into yarn that is more durable and smooth. Because of the strength and fineness of the yarn clothing made out of worsted wool is very durable and maintains their shape-so they can keep a crease whilst resist wrinkling. That's why lots of your quality woolen suits are made of worsted wool. One question I get asked quite frequently is "What's the difference?" For instance, why one pair of jeans may cost $25 at one store and $200 at another. There actually are some differences but how people value those differences vary. For example, Jantzen uses high quality fabrics and finishes on their swimwear. They also use good construction techniques. Their pattern-makers are highly skilled, so their swimsuits fit very well. So if you want a stylish swimsuit that will last for several years this is a good brand to buy. However, if you just want a trendy swimsuit that will last for the summer season, and you plan to spend more time around the pool rather than in it, than you may want to buy a low price tag swimsuit available at many discount retailers. I remember when I worked at Gap, Inc. you could see costs differences between Banana Republic, Gap and Old Navy for similar designs. For instance, children's tee shirts in Gap would use embroidery or appliqués where as the same detail would just be a screen print for Old Navy. Another difference was types of fabrics. Such as Banana Republic would carry cashmere sweaters wwhereas Gap & Old Navy would have just cotton or wool. Many of your boutique shops and designer labels use the best materials available for their clothes. In addition, there may be handiwork involved in creating their designs, such as hand sewing and hand dyeing of fabrics. Clothing may be constructed individually rather than factory mass made. Which means there is more attention to detail and less likely that an error in construction will occur. Of course, haute couture designers use the finest materials and custom-make garments for their clientele, with all sewing being done by hand. But just be aware, the majority of what you pay for designer brands with high prices is the brand name. In fact, a huge part of the mark-up on designer items is based on the fact that these companies know that customers will pay more for their fashion goods because of their brand recognition. So the quality of fabric, notions (zippers, buttons, snaps), construction, fit, embellishments (appliqués, embroidery, screen prints, etc. ), are all little differences between price points on similar garments. I should mention, the level of service you receive in the store is also a factor in the price. 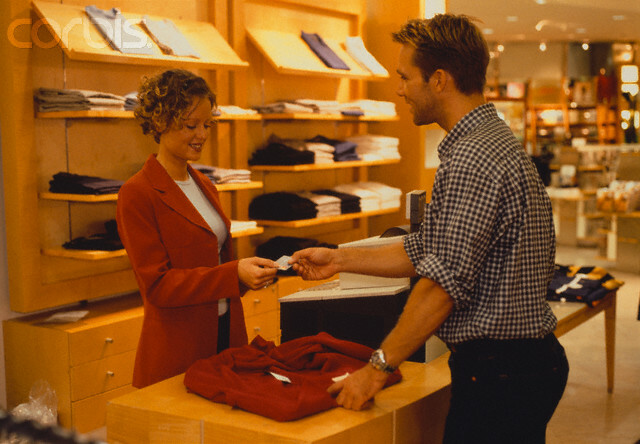 Self-service stores will by nature have lower prices than personal selling shops. Lastly, tor designer goods, a large proportion of the price you pay is so you can wear the brand name. So what you value and are willing to pay for your clothing is up to you. If you are not going to wear the garment long, like seasonal fashion trends, than most likely a low-ticket item is what you need. Just remember the saying, "You get what you pay for". Wow-what has kept me busy for 2 weeks! Besides my Master Degree studies in which the term ends this month-I've been blessed with a wonderful response of design work requests from the community and even residents from the nearest big city. The launch of the cotton abaya line was very really well received! 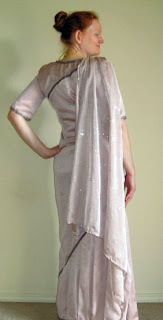 I am so excited to be working on custom-made abayas. It has been great to meet with clients one-on-one! Many were impressed with the selection of fabrics, fancy ribbons, embroidered borders, etc., in my design studio inventory, that was available for them to pick and choose from for their own abayas. Customers chose which style they wanted for their abaya; the majority choose styles from my website however others had a design of their own in mind. Lastly, clients decided if they wanted the abaya to open up completely in the front with a zipper or snaps, or if they wanted a pullover style (most went with the single snap closure). For measurements, I found it helped the women visualize fit if I had them either try on samples in my studio or bring one of their own abayas. I noticed several ladies commented on how surprisingly lightweight the cotton abayas were [whom tried on samples in the studio]. I can't wait to get them finished, delivered and upload pictures on my portfolio website! In addition, to abayas, several orders were placed for other garments. 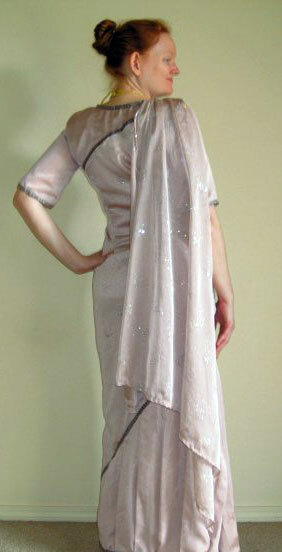 Ranging from beautiful dresses made from exotic Asian fabrics to casual embroidered cotton tunic tops. I really enjoy the opportunity to be creative and more involved with these types of design projects. For me, I have always enjoyed the fusion of art and science in fashion design. I am so happy to see a satisfied customer who can wear an outfit that previously was just a picture in their mind. I am equally excited to upload pictures of the gowns and tops! About every month or so, I get requests to do alterations on existing garments. I must admit that there is virtually zero creativity and therefore a low motivation to accept this type of work. (Besides nearly all your local dry cleaners will do alterations on your clothes). I enjoy the process of seeing a garment come to life; from it's birth of an idea, to choosing fabrics & notions, to drafting pattern pieces and lastly constructing the final result-it is the journey that I thoroughly enjoy and am very passionate about participating in! Hence why I decided to be a designer instead of a tailor or seamstress. Actually, in the industry, a designer almost never sews or makes patterns. Typically a designer researches trends, prepares a concept board for the season and category for their target market, then makes tech packs that basically communicate all the information about a style to a factory. The designer's description and sketches have to be absolutely precise though in order for a factory to make the garments accurately! Even your haute couture designers, think fashion shows of Paris, New York and Milan, generally have their junior staff make patterns & sew the hand-made garments for their elite clientele. Nowadays, the only time you see professional designers actually making patterns and sewing samples/garments is at small or home-based businesses. Having said that, every designer will tell you that at design school you absolutely must sew and draft patterns of your own work; because it is crucial for a designer to have a thorough understanding and knowledge of clothing construction. As I mentioned, fashion is a combination of art and science. In short, the labor (e.g. pattern-making & sewing/construction) is the science & skill whereas innovation & creativity (e.g. styling, silhouettes, trends, colors, prints, etc.) is the art and talent! As I mentioned, I love being involved in the entire process of bring a garment to life! I love these nail polish appliqués by Incoco Professional. It's like taking a colored adhesive film and pressing it onto your nail then sculpting away any excess. It may take some practice to apply the strips just right but it's a simple way to create finished nails without using liquid nail polish. 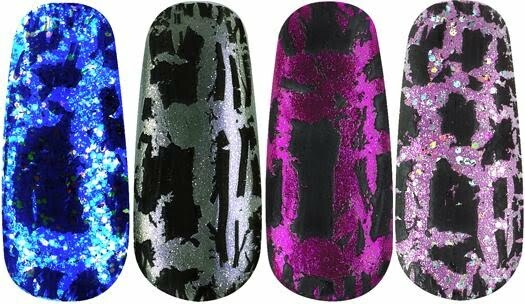 These shrink wrap style designed nails are applied when getting gel or acrylic nails done. Sheekee carries an assortment of fun and bright designs. Similarly, is Minix fashion finger tips. I do like the flag nails-how patriotic. Celebrity nail polish lines are gaining in popularity. For example, if you like Katy Perry's fashion style, you should check out her collection by OPI. With it's fun assortment of polishes like Teenage Dream (pink sparkle) and The One That Got Away (dark purple). I also like Serena Williams Glam Slam line. I like her cracked or shattered look. 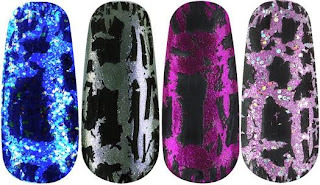 It is echoed in China Glaze's line that is available in six colors. I know my sister has been getting more and more requests for Eye Kandy. It's a way to put glitter in a decorative style on the skin, face and around the eyes. It's a smashing look for those evenings out. The glitter can also be stylized for artificial nails. The last bit of trend in nail & skin care, Rose Pedicures! So treat yourself to this natural relaxing pedicure when you get a chance! (I have to mention-that of course all of these trendy services and products area available at the Sugar N' Spice Salon).